Laid down, 19 June 1944, at Commercial Iron Works, Portland, OR. 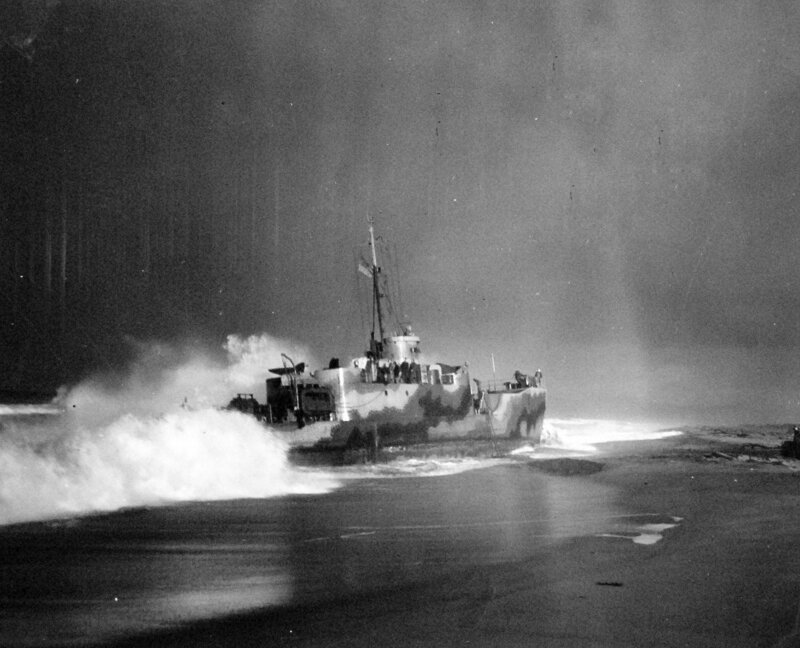 458k USS LCI(L)-775 in heavy surf after rapid landing operation of Lion 8 at MTA Beach, Port Hueneme, CA., 11 November 1944. 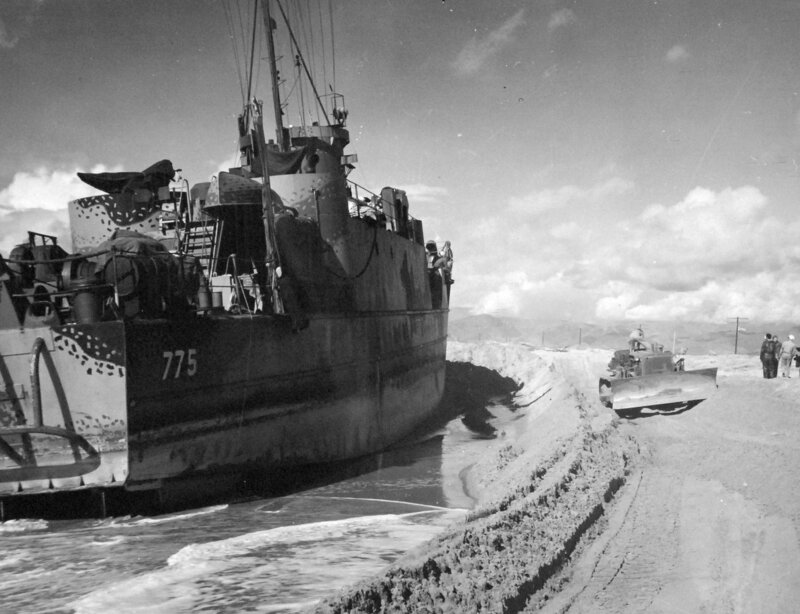 286k USS LCI(L)-775 grounded on MTA Beach, Port Hueneme, CA., 13 November 1944. 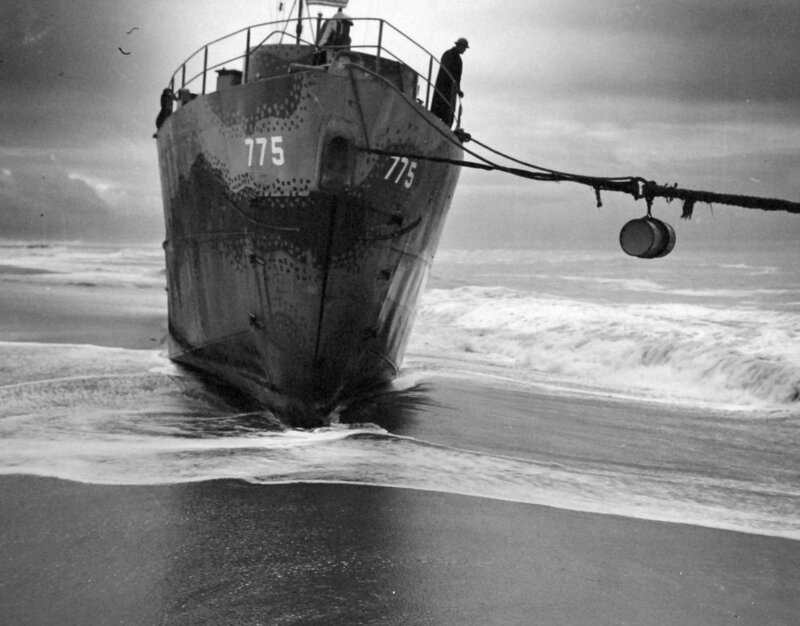 She is in approximate depth of keel in sand at 08:15 a.m. U.S.
326k Crewmen and Port Hueneme personnel endeavor to get USS LCI(L)-775 afloat at MTA Beach, Port Hueneme, CA., 14 November 1944. Note the large pile of sand pushed up by bulldozers. 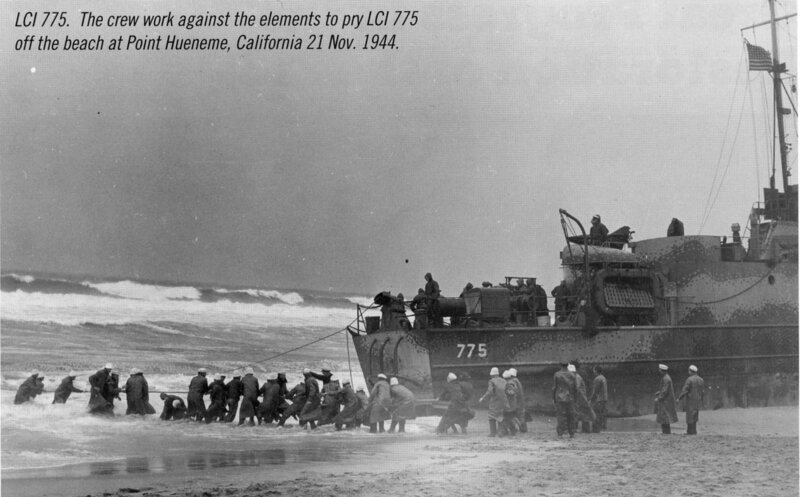 592k Crewmen and Port Hueneme personnel work against the elements to pry USS LCI(L)-775 off the beach at Point Hueneme, CA., 21 November 1944. 01 LT. Shields, K. W. USNR 29 July 1944 - ?